The Freegold Mountain Project is underlain by Mesozoic granitic rocks with lesser Paleozoic meta-sedimentary basement rocks. 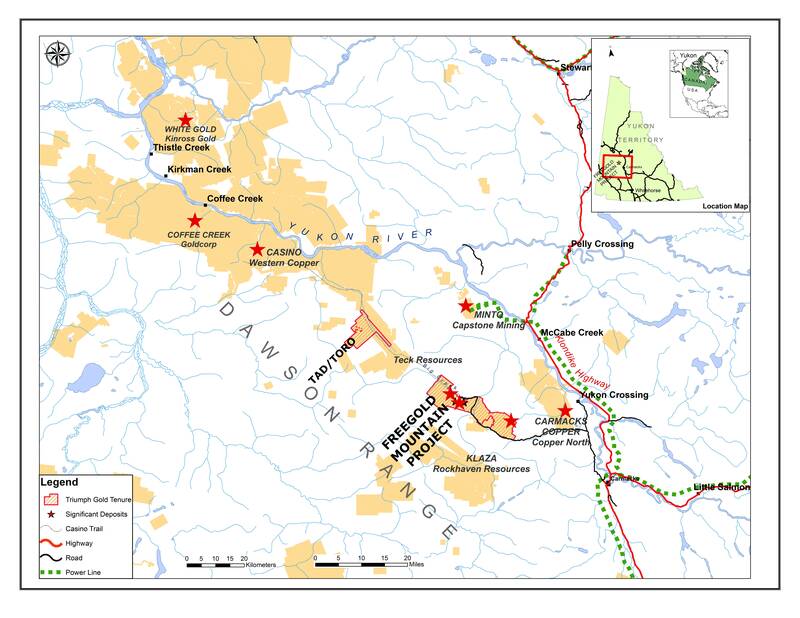 The project area spans two geologic terranes where the Tinta Hill deposit is within the Stikine terrane and the Revenue and Nucleus deposits lie within the Yukon-Tanana terrane. The project lies along a 30 kilometre-long segment of the regionally important Big Creek fault, which is associated with mineralization along its full length into Alaska. During the Middle and Late Cretaceous period, the Freegold Mountain portion of the Big Creek fault was affected by transtensional faulting between two fault strands, resulting in a zone of near-surface crustal dilation and emplacement of voluminous magma bodies. Late Cretaceous reactivation of the fault resulted in the emplacement of syn-tectonic intrusions and an associated hydrothermal system with an unusually-rich metal endowment. Geological evidence from the six-kilometre-long Revenue and Nucleus deposit area overwhelmingly supports a massive, evolving hydrothermal system. Early, high-temperature Cu and Au-rich mineralization at Revenue is cross-cut by quartz-feldspar-porphyritic dikes and lower-temperature mineralization associated with the Revenue diatreme breccia. The flanks of the hydrothermal system are characterized by low-temperature gold bearing epithermal veins and breccias of the Nucleus deposit, and distal polymetallic veins. 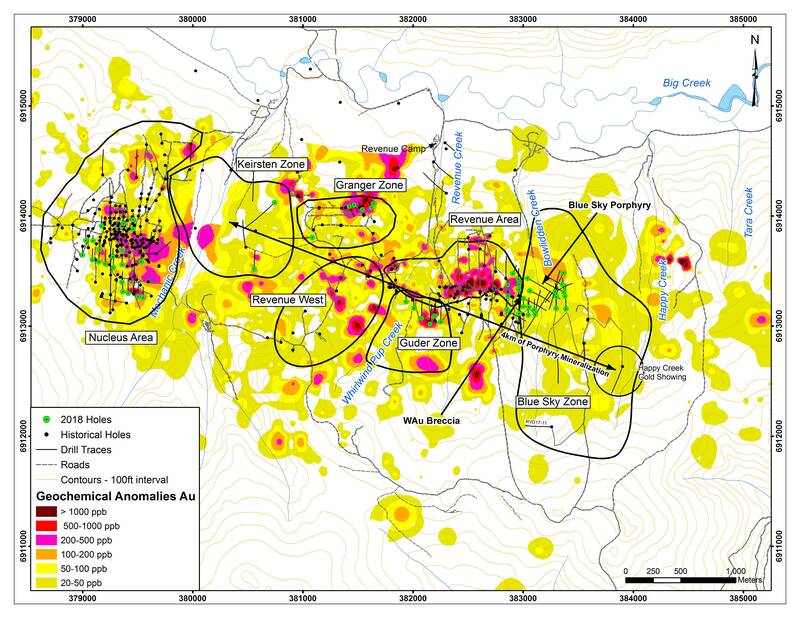 The characteristics of the Revenue and Nucleus hydrothermal systems are typical of Au-Cu Porphyry deposits, the primary source of the worlds gold and copper production. 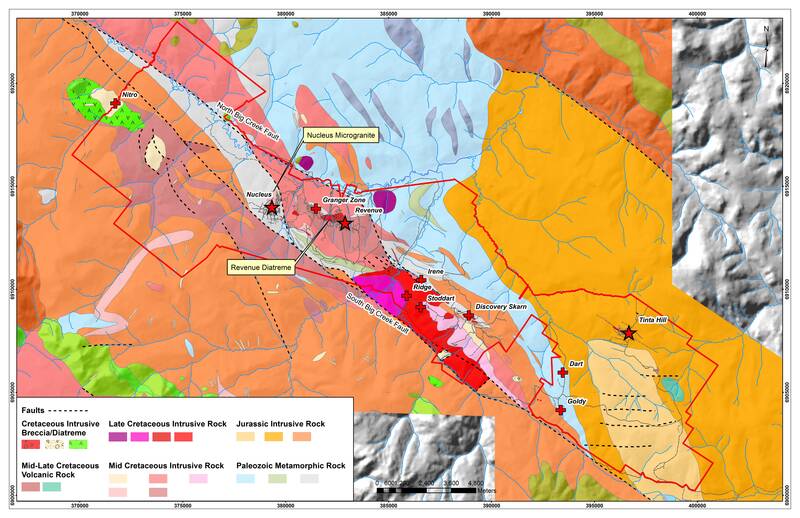 Triumph Gold is committed to increasing shareholder value through continued exploration on the Freegold Mountain property, leading to further resource definition, and by identifying new exploration opportunities.